Reader's Digest Association, 9781621453277, 320pp. 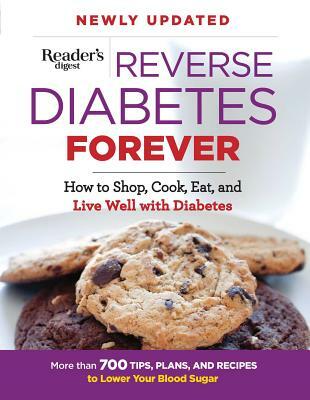 The only guide you'll ever need to mastering diabetes (type 1 or type 2), once and for all. In this comprehensive book, you'll find the latest science and expert advice that enables you--at long last--to take control. You'll learn how to shop, cook, and eat. Learn how to transform your favorite comfort foods into delectable, diet-friendly meals (your family won't know you've changed a thing) that'll get you out of the kitchen fast. Beyond learning to eat well, defeating diabetes means learning how to be more active. It's easier than you think Cherry-pick from the menu of easy exercises until you've created a 15-minute workout that will trim your tummy and bring your blood sugar numbers down. What's more, you'll come to understand how insidious stress can be. It actually raises blood sugar and lowers your mood, making eating and moving more healthfully a nearly insurmountable challenge. Find scores of smart tips for putting a limit on your daily stresses and banking sleep on the weekend (sleep is the top stress-busting secret of all time).